When it comes to creating a place brand that works, there is much more involved than just creating a logo and slogan. You can’t just slap your city (or region’s) name next to a heart and call it branding. 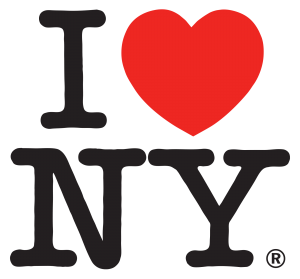 Yes, “I Love New York” is often used as a classic example of place branding success (even by me). But to create a brand that resonates and works for all stakeholders requires a bit more understanding and consideration of your long-term goals than simply copying what worked for another place. Too many place branding activities are ‘campaign focused’ rather than thinking long-term. Places are difficult things to market and create strong brands for. Branding takes time and a campaign tends to be a shorter term, one off, event. I think part of the issue is that traditional advertising agencies themselves are very campaign oriented. Traditional advertising agencies aren’t terribly good at dealing with the greater complexity that place branding really demands. Equally the place or destination itself needs to clearly identify goals with definable long term strategic objectives. What is the place trying to achieve? What are their goals in terms of either inward investment, tourism or residential growth? Too often these are missing and even when present, tend to be expressed in generalities. Each place is different and demands a different, long-term, set of objectives. Once these longer term goals and objectives are identified the focus should be on creating a really distinct positioning. The art of marketing is the art of branding. The art of branding is the creation of a distinct positioning. Being number one in your chosen category. It is the hardest thing to get right. You need a simple and clear proposition. A distinct positioning means being just that – distinct. You can’t be all things to all people. You need to stand for something and that will probably lead to some people not liking it. But if you produce wallpaper that doesn’t stand out, odds are you won’t offend anyone — but equally you won’t stand out either. 3. Communication that really communicates.